This neighbourhood is placed just in the centre of Madrid. The true name of the quarter is Universidad, and also known as Barrio de Las Maravillas. It’s a neighbourhood with personality and spirit, famous for its atmosphere and night life. Malasaña was and keeps on being the rocker quarter of Madrid, as in the 70s and 80s led the ’Movida Madrileña’, alternative and counter-cultural which made many rock bands and music venues famous. What to do in Malasaña? In Malasaña there’s also a strong commercial area with famous brands shops and several bars, cafeterias and restaurants where taste and enjoy the most traditional gastronomy of Madrid. Must-see placed and monuments are Plaza del Dos de Mayo, the Artillería de Monteleón park, the Arco del Antiguo Cartel and Plaza Luna. Visiting Madrid en one of the lucury apartments in Malasaña neighbourhood, you’ll enjoy the rocker and alternative atmosphere of the most exclusives areas in the quarter and delight in the ’tapas’, restaurants and shops which identify the capital city the most. 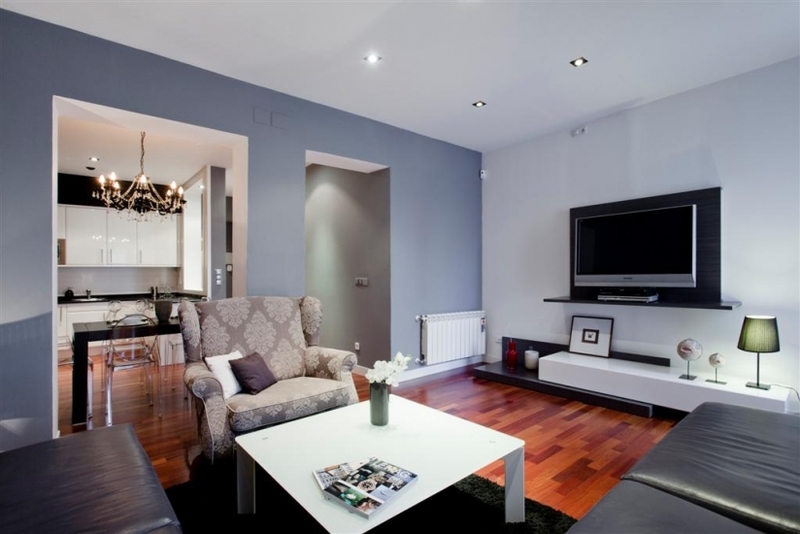 Where do you want your luxury apartment in Madrid to be located? Below you can find the neighbourhoods where you can rent a fantastic high quality apartment in Madrid. Do not hesitate to surf our site and choose a luxury apartment in the most exclusive areas of Madrid. To discover Madrid as a whole is essential to visit some of its numerous important museums, where tourists lose track of time walking between masterpieces of great cultural and artistic quality. Here you will get all information from the museums of Madrid, especially the three most important: the Prado Museum, the Thyssen-Bornemisza Museum and the Reina Sofia Museum. Madrid has a great artistic value, as well as its wide variety of museums, also offers the opportunity to enjoy its stunning flamenco shows in the different ’tablaos ’ which are there where you’ll be able to contemplate a real art exhibition full of strength and feelings. While you are staying in one of our luxury apartments in Madrid, you will have the opportunity to visit not only the countless landmarks in the Spanish capital, but also other many places worth visiting that are located at a short distance from Madrid. There are a number of options and the most important ones are: San Lorenzo de El Escorial, Aranjuez, el Palacio El Pardo, Alcalá de Henares, Toledo, Segovia and Ávila.